Old Kent Road’s central London location and its unique character make it a great place to live, work and do business. 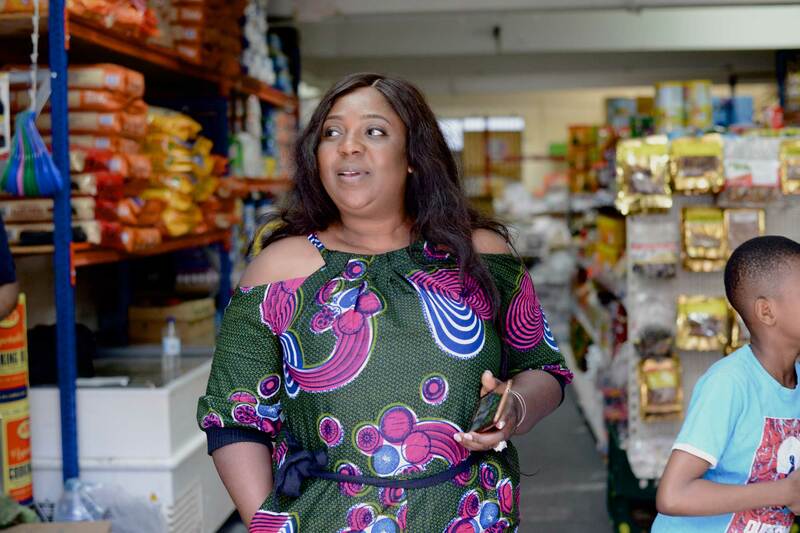 More than 400 businesses are based here and 9,000 people work on Old Kent Road but the area still has huge potential to grow in terms of jobs, businesses and new homes. We want to build on Old Kent Road’s strengths with a 20 year programme of investment that will deliver real, tangible benefits for the local community. We will develop its thriving business, arts and cultural communities and transform Old Kent Road as a place to live, work and visit. Old Kent Road has a long history as one of the primary routes into central London. Its industrial character and its status as a major arterial road mean it’s often thought of as simply a means of getting somewhere – perhaps to a job in the City or a night out in the West End – rather than a destination in its own right. The regeneration will turn this on its head, making Old Kent Road a major central London destination, somewhere that people will come to live, work and enjoy their leisure time. The key to this will be the creation of a proper town centre for Old Kent Road. 35,000 people live along the three mile length of Old Kent Road and its local neighbourhoods. We want to ensure that all these people and many more get to enjoy all the benefits and opportunities that the redevelopment of Old Kent Road will bring, including new homes, jobs, schools, parks and community facilities. The regeneration presents a unique chance to tackle Southwark’s housing crisis – 20,000 high quality, new homes will be built to suit people from all walks of life. 35 per cent of all the new housing will be affordable – around 7,000 new affordable homes including 5,000 at social rent. The Bakerloo line extension from Elephant and Castle to Lewisham is fundamental to our plans. Extending the tube line and building three new stations along Old Kent Road will provide a big boost to the local economy. It will create new jobs and enable many more new homes to be built and at a faster rate, too. We want to nurture and develop the best that Old Kent Road has to offer, including its thriving businesses, arts and cultural communities. We’ll support existing businesses but we’ll also create new employment space for a range of commercial uses – from laptops to forklifts – to help the local economy grow. Many of these new workspaces will be combined with housing in innovative new buildings. We’ll actively promote the area’s creativity and establish at least one major new cultural attraction in Old Kent Road. We’ll encourage lifelong learning and healthy living; with new schools, improvements to air quality, three new parks and a community health hub. We’ll also create a Greener Belt which will link open spaces from Burgess Park to Canada Water including the new parks in Old Kent Road. The Greener Belt will provide space for nature, leisure and relaxation. 20 years of investment that will deliver real, tangible benefits for the local community. Three new tube stations. More homes and jobs. Less pollution. 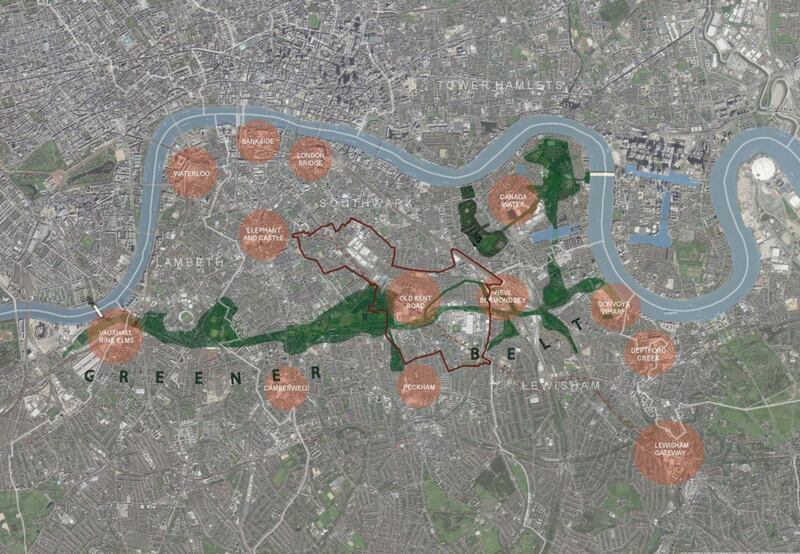 The Greener Belt will link open spaces from Burgess Park to Canada Water providing space for nature, leisure and relaxation. A family wedding party on Old Kent Road. Noelle, Kofi, Lynda, Machi and Chika.